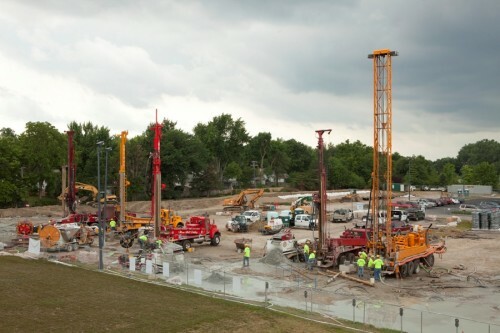 Indiana’s Ball State University last week dedicated the largest vertical closed-loop geothermal heating and cooling system in the United States. When fully complete, the project will allow the school to shut down its four aging coal-fired boilers, prevent 85,000 tons of annual carbon emissions (cutting the campus carbon footprint in half), and save $2 million in annual operating costs. Construction began on the system in 2009, and will ultimately connect 5.5 million square feet of space in 47 buildings across the 660-acre campus with geothermal power. Phase one was recently completed, consisting of 1,800 boreholes drilled on two geothermal fields and a new energy station connecting the fields with buildings on the northern end of campus. Work recently began on phase two of the project, and will continue through 2014. 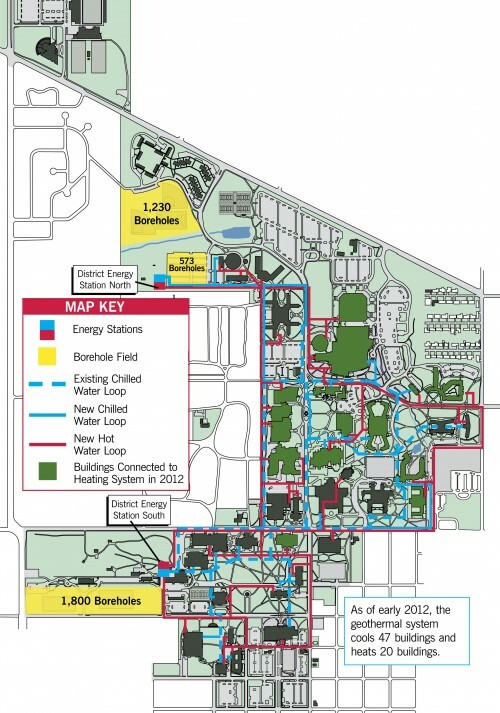 The second phase will include installing an additional 1,800 boreholes in a geothermal field on the south side of the campus and a new energy station connecting two 2,500-ton heat pump chillers with a connection loop around the southern portion of campus. The rising cost of coal contributed to the school’s decision to shift toward sustainable power. “When costs began to escalate for the installation of a new fossil fuel burning boiler, the university began to evaluate other renewable energy options,” said Jim Lowe, director of engineering, construction, and operations. Ball State’s geothermal system is just another example of the school’s “Green Campus” sustainability efforts. The university diverts around 20 percent of all waste from landfills, has a hybrid fleet of electric and biofuel vehicles, all new construction is built to LEED silver certification, and university president Jo Ann Gora is a founding member of the American College and University Presidents’ Climate Commitment. A recent study conducted by the school’s Center for Business and Economic Research found the geothermal system is creating an estimated 2,300 direct and indirect jobs. This figure is impressive, but unsurprising, considering the U.S. Bureau of Labor Statistics just last week found 372,000 construction-related green jobs in the country. 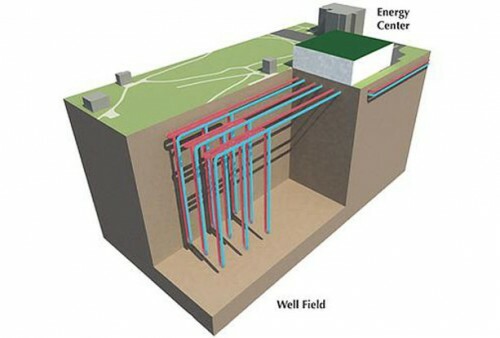 The geothermal system cost a total of $50 million dollars, and was funded through federal and state grants, including $5 million in stimulus funding from the U.S. Department of Energy and $45 million in capital funding from Indiana state government.